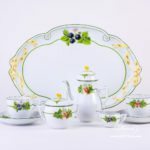 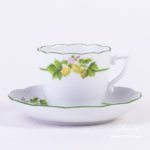 Tea Set for 6 Persons - Rothschild Bird Green Fish Scale RO-ETV decor. 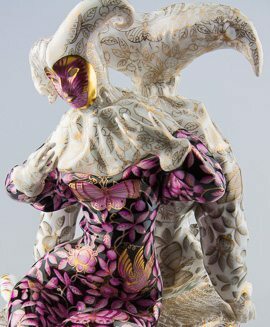 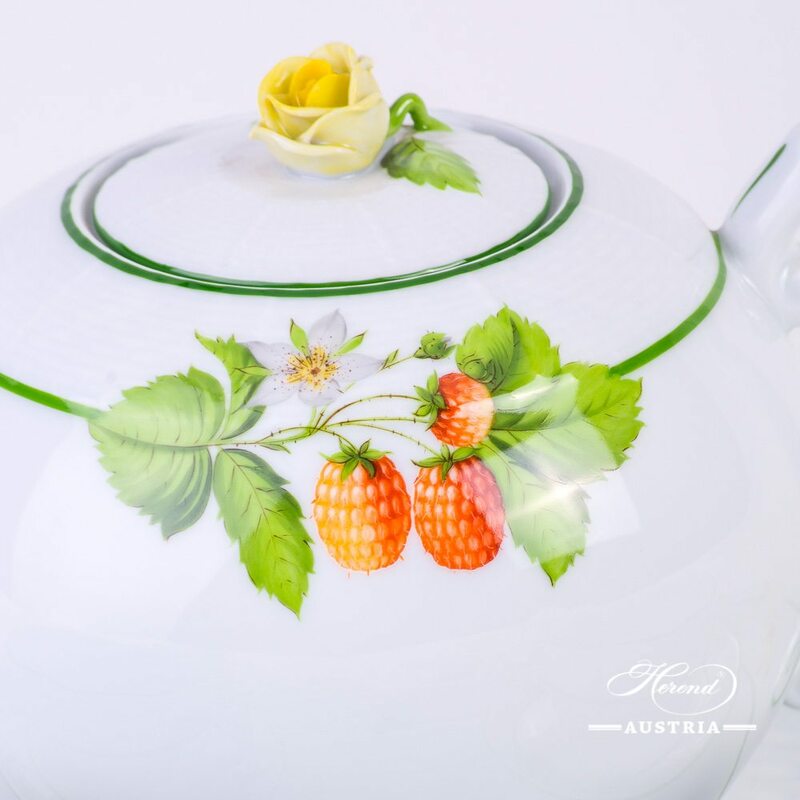 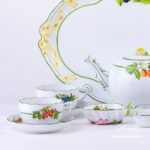 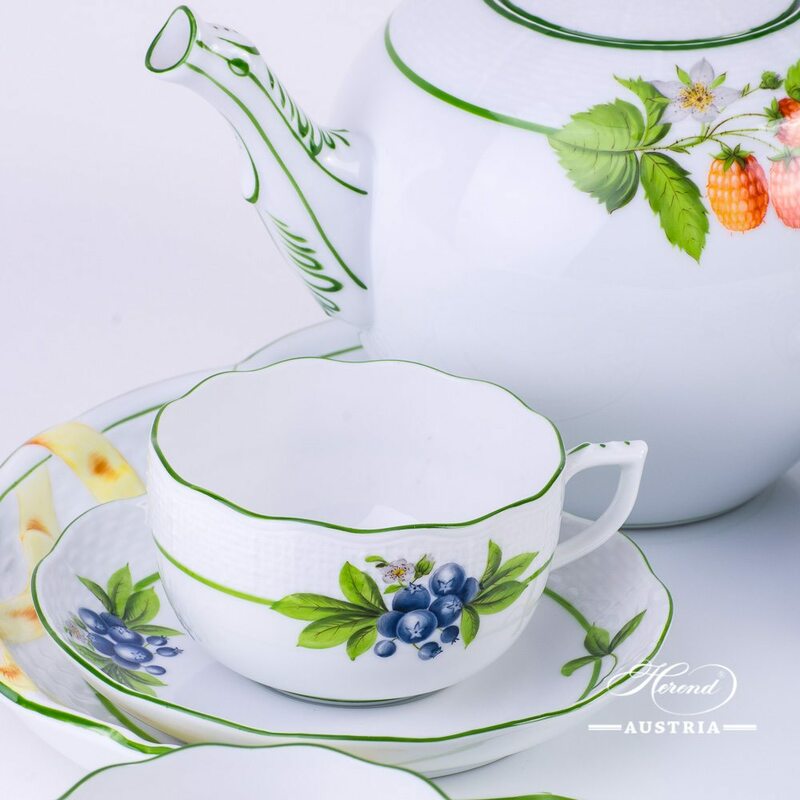 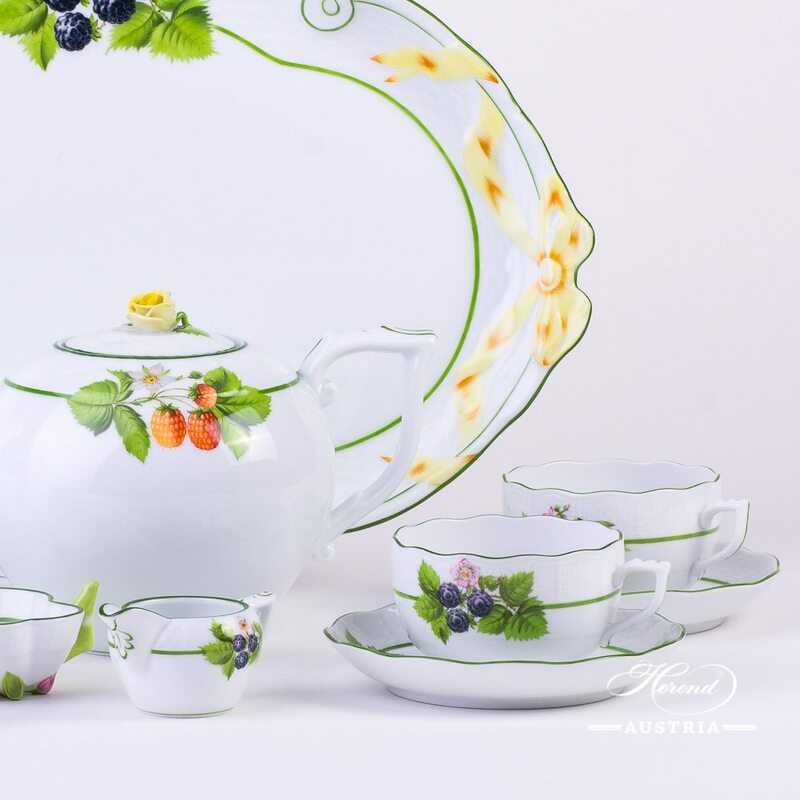 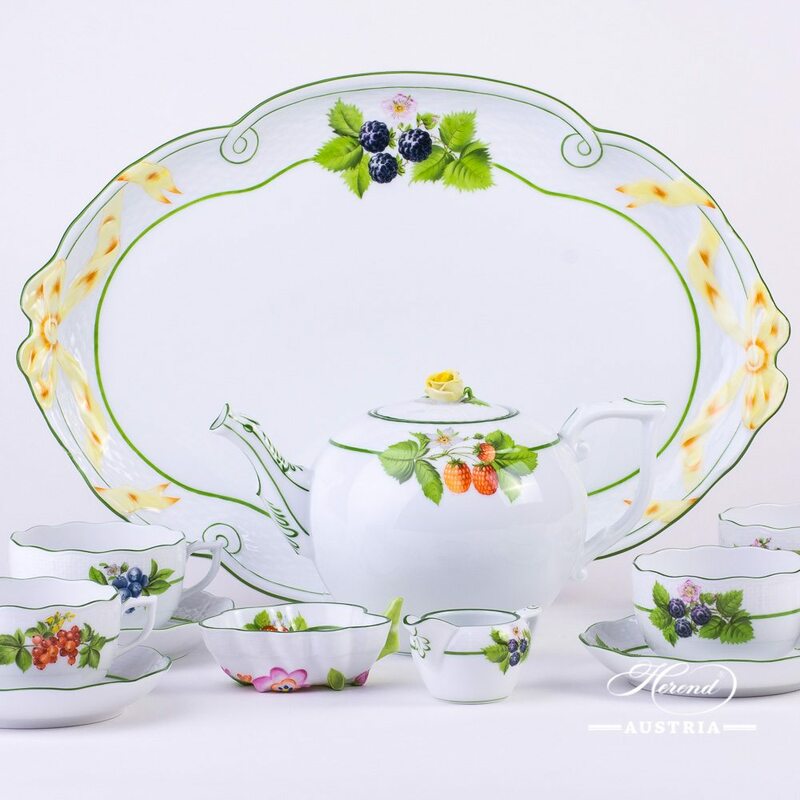 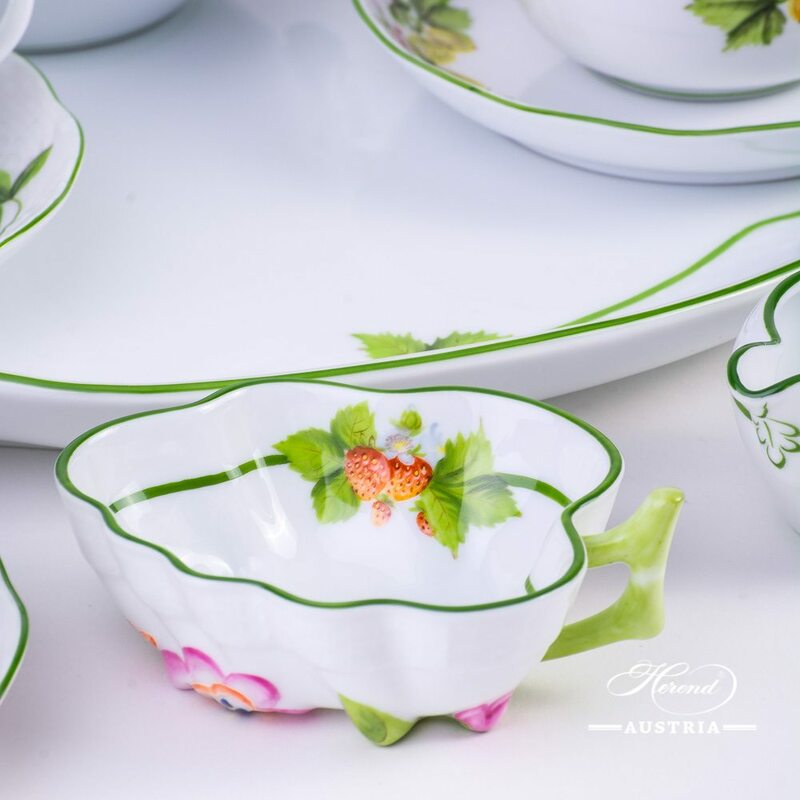 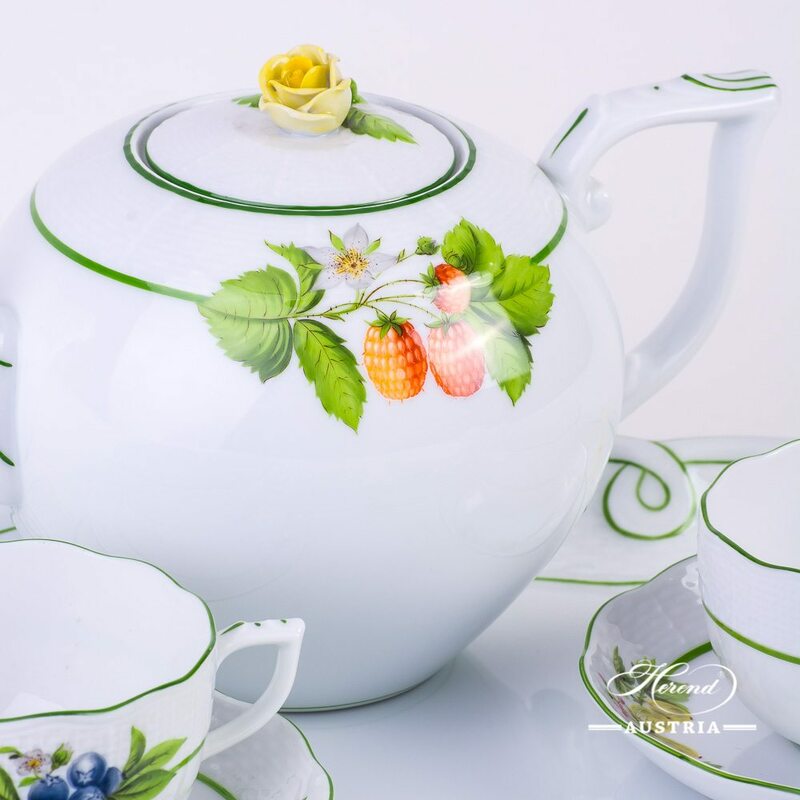 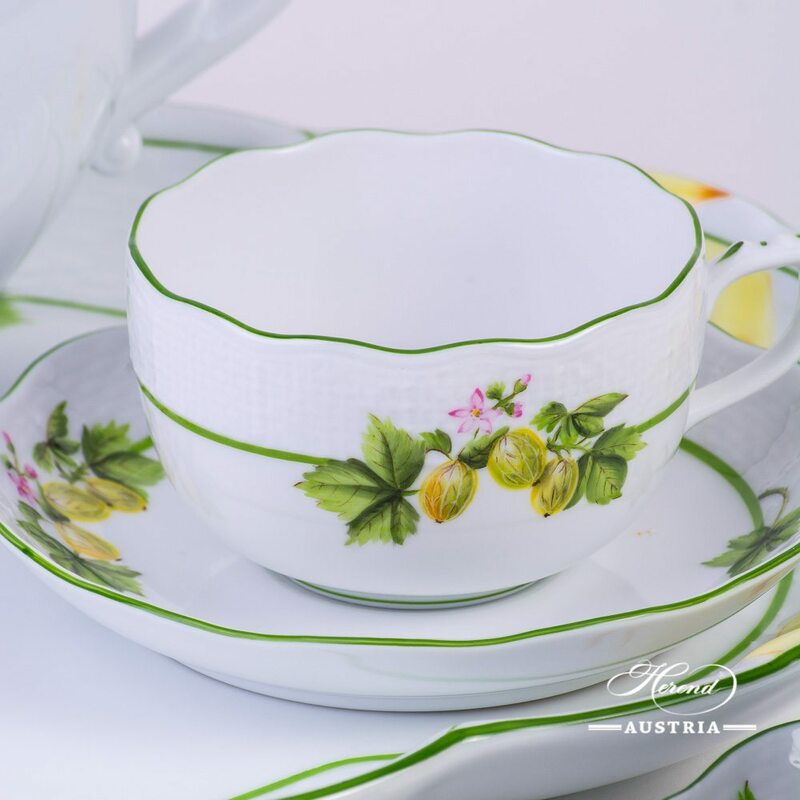 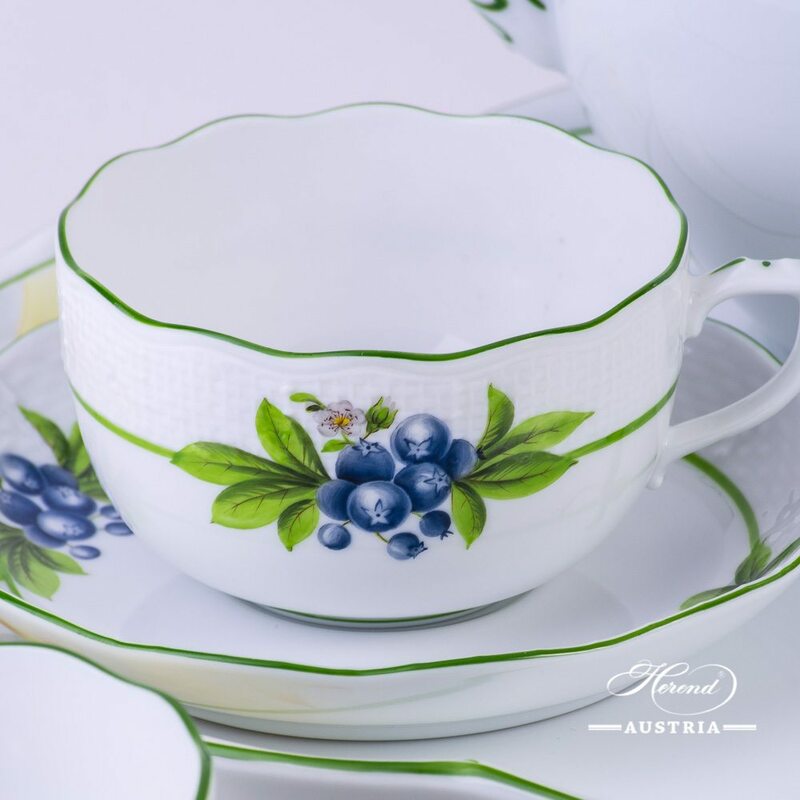 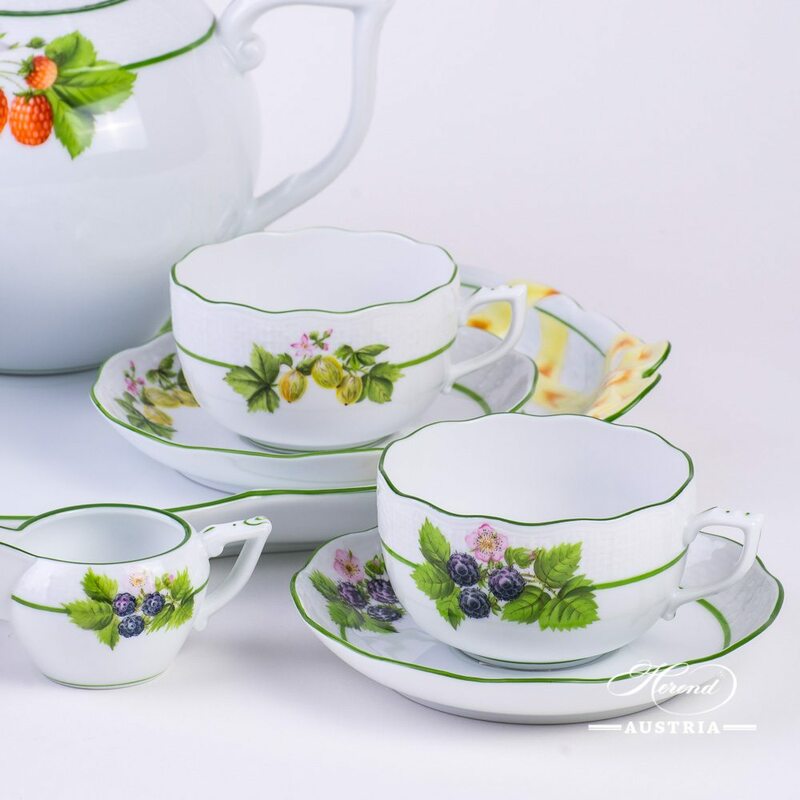 Traditional Bird design, ordered by the famous Rothschild family from the Manufactory of Herend. 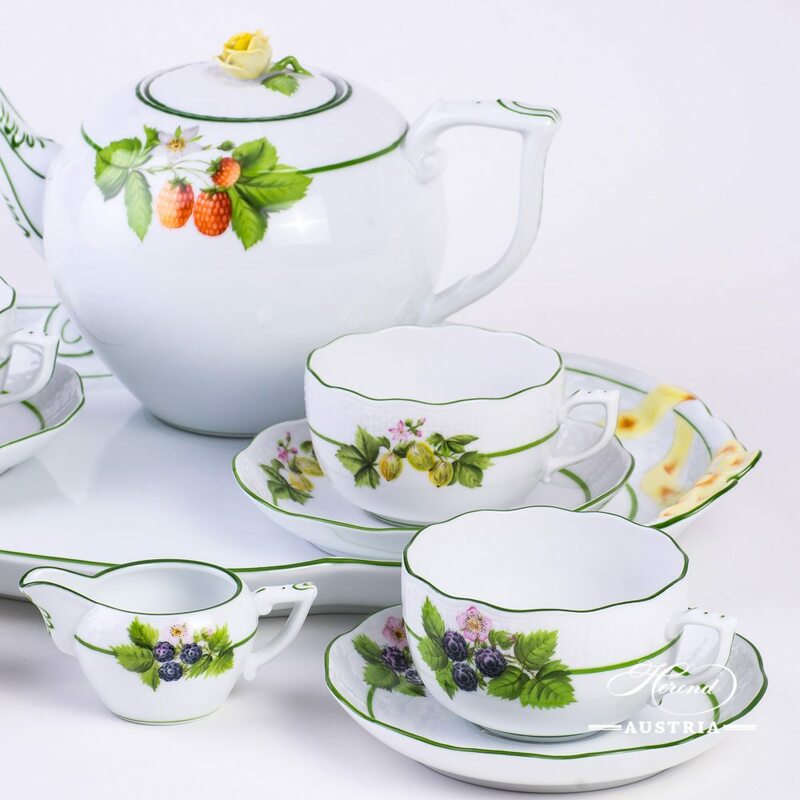 Tea Set RO-ETV for daily usage.